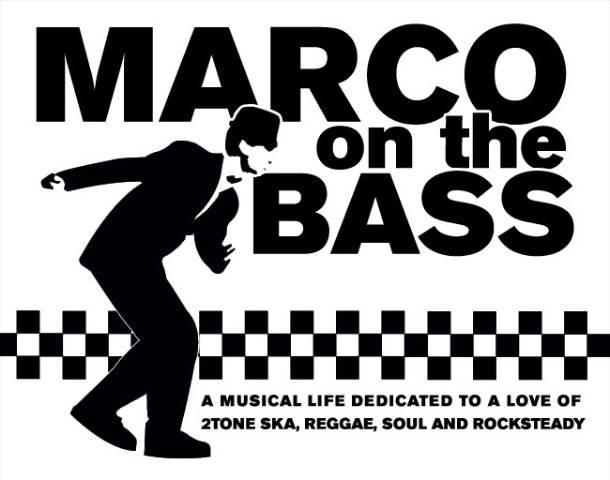 Marco On The Bass: The Toasters Celebrate Their 30th Anniversary In An Original NYC Style! 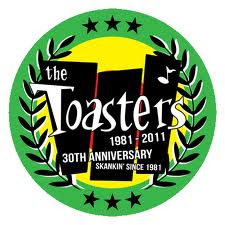 The Toasters Celebrate Their 30th Anniversary In An Original NYC Style! The Toasters kicked off their 30th anniversary tour of the U.S. with a homecoming show at the Knitting Factory in Brooklyn this past Sunday night, but not before Rob 'Bucket' Hingley stopped by a pre-party that my fellow ska blogger Steve Shafer (Duff Guide To Ska) and I hosted in his honor. At the pre-party, Bucket shared that he is hoping to play a few 'special shows' during 2011. While the band are known around the world for carrying the ska torch and Bucket long ago moved his home base to Spain in order to tour Europe more easily, New York still remains the band's spiritual home and its where Bucket often honors the band's legacy. The show on Sunday night was no different, as the band was joined by its former toaster/vocalist Coolie Ranx (who appeared on the Dub 56 and Hard Band Fe Dead albums) for an extended version of one of their most popular and iconic tracks 'Run Rudy Run' taken from their first 'Recriminations' EP (which was produced by Joe Jackson). If you watched until the end then you heard Coolie spill the beans about some big plans the band has for later this summer. Needless to say there will be a lot more details to share as they become available! Special thanks to Mike DeMatteo at The Establishment for the video and to Sid Reitzfeld for hosting the pre-party at Dusk Lounge. Help Kickstart The Reggae 69 Fan Club!